Janice and Harry had been married for 35 years. They’d raised two kids together. Ben got married and divorced in less than a year and was now on this third tour of duty with the Marines in Afghanistan. Elizabeth married Raoul two years ago and was expecting. It would be their first grandchild, but then again, they weren’t going to get that far. In a way, even though it was painful, it was also a relief for him. So many nights they’d sit together in their living room, he watching television and she reading her book. They ate dinner together, sat on the same sofa together, slept in the same bed together, but they were really light years apart. They had been that way for a long time. She sighed. Her eyes were moving rapidly back and forth as if she were trying to think of something, probably a lie convincing enough for him to believe. Right now Janice could tell him that the Moon was in the sky and grass was green and he wouldn’t believe her. She’d been pretending for too long and he’d known it for almost that long. She chuckled. Looked down at the book in her lap, toyed with the bookmark with her fingers, then looked back up. “I’m not from another planet, but you’d better look up that number because being an alien would seem tame compared to what I’ve got to say, the truth I mean. If I stop pretending, you’re going to think you’re the crazy one. “Another planet?” He winced. He didn’t want her to be crazy. “I’m not pretending anymore, Harry. This is who I am. I’m a Cushite Princess, kidnapped by minions of Thoth-Amon to be a sacrifice to Set. I escaped. Ran blindly through his stronghold. I stumbled upon the room where he had discovered…something. He called it a well. When he found me, I only had a moment to act. I could be captured and die by the knife as a sacrifice to the serpent god, or jump into the well and let it take me where it led. He sat, not because he wanted to but because he had no idea what else to do. Harry had his face in both hands. He felt sick to his stomach. He had no idea what was going on. Janice sounded like she was sane. She sounded like the same woman he’d been living with for the past thirty-five years, but her story was straight out of the old pulp fiction novels. He looked at her but more than that, he remembered her. He remembered the past thirty-five years, their life and love together. She had grown from a little lost girl to a terrific woman, wife, and mother. She was beautiful and absolutely brilliant. Her pose and grace made it easy to believe she was a Princess, royal blood flowing through her veins. There were holes in her story he could drive a truck through, but being semi-retired, he had time and money enough to take a vacation. Six weeks, four days, and an odd number of hours later. 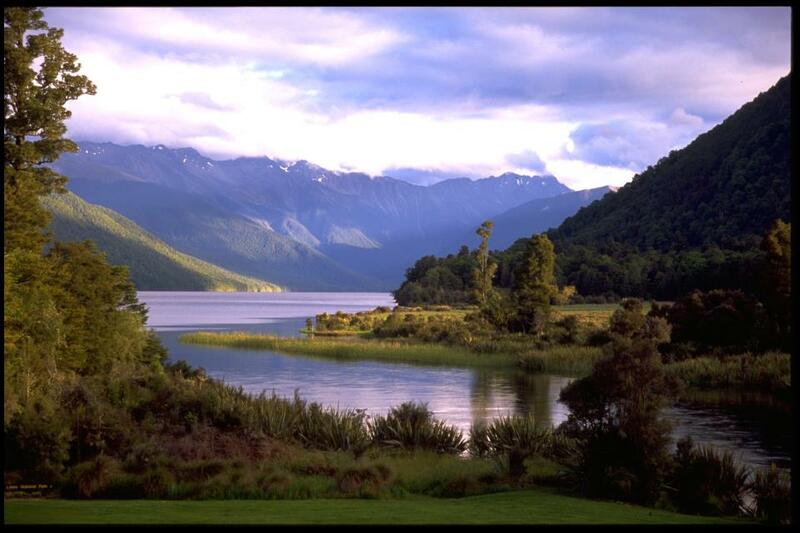 Harry and Janice Parsons were standing 220 meters south-south east of the southern shore of Lake Rotoroa. They’d actually arrived two weeks ago and spent some time sightseeing. It was a strange second honeymoon, but it was also the adventure of a lifetime. Harry still didn’t know what to believe. If they stood at the exact right place at the exact right time and nothing happened, they’d have to deal with it then, but it still wouldn’t be a wasted experience. They updated their wills before leaving. If they died or disappeared and were declared legally dead after a suitable period, their estate would be disposed off among their two children. If Janice were right, then it would seem as if an older couple had gone on vacation in New Zealand and gotten lost in the Nelson Lakes National Park. There’d be a search but no bodies would ever be found. That is if Janice was right about all this, if she weren’t insane or playing some sort of elaborate game. They stood on the exact spot she had designated. The well or whatever it was should manifest in the next sixty seconds if it was going to at all. They held hands tightly, expectantly. She obviously believed every word she had told him and he wanted to believe in her. If she were right, he was about to enter an incredibly alien world, one beyond his ability to imagine, one of sorcerers and sword-wielding barbarians. A land he was totally unprepared to live in. But then again, for the past thirty-five years, she had lived with him in his alien world, a stranger who tried to fit in but never really could. Even in the face of all that, she had stayed by his side for all that time. Was it too much to ask that he face the same thing for her sake? I wrote this for Helen Vahdati’s Song Lyric Sunday Theme for 17 December 2017 which is presented in partnership with Simply Marquessa. The idea is to take a specific word or concept, find song lyrics that map to it, and then write a piece of fiction or other creative work based on those lyrics. This week’s theme is “Pretending.” A quick Google search led me to the Jerry Lynn Williams lyrics of a song performed by Eric Clapton. You can find the full lyrics to “Pretending” here. For last Sunday’s challenge, I wrote Demon in the Mask, which used a strong magical, horror, religious, and fantasy theme. In keeping with that, I set this week’s tale within the fantasy realm and specifically used characters derived from Robert E. Howard’s pulp fiction hero Conan the Barbarian. This included Thoth-Amon, the serpent god Set, and nations such as Stygia and Cush. What if you were a Princess born and raised in an antediluvian world where the rules of reality were different from those we experience today, where magic and sorcery were as valid as physics and chemistry are in the modern world? Suddenly transferred from that reality to this one, what would you experience? Trapped here for decades, would you ever truly get used to it? Would you ever long for the home that had been taken from you? That’s the story of Harry and Janice. I purposely ended their saga at the point of uncertainty, since it’s less important to know whether or not Janice is indeed a Cushite Princess and more important to know that she has stopped pretending about how she feels for her husband and herself. To read other tales based on the prompt, visit Helen’s blog This Thing Called Life One Word at a Time. Somehow, I can’t credit her feelings of alienation as sufficient justification for wanting to return to that sort of environment. Even its sense of royal entitlement was scant protection of life and limb; and she could not be certain of anything. Indeed, it seemed that the likely expectation was that life would be “nasty, brutish, and short” (! ), even if they succeeded in returning to her origins rather than to some other unknown location. I’m thinking that the straitjacket might have been a better choice. Nasty, brutish, and short…unless you’re royalty. Also, she was very young when she fell into our world, so her perceptions of “home” maybe somewhat romanticized. A lot of what I was trying to express here was Harry’s willingness to venture into the unknown for Janice’s sake. The straitjacket may be an option if the well doesn’t appear, but even then it was still a grand adventure. Thanks, Helen. Sorry if I made mistake in understanding the specifics of your challenge. Yes, I’ve been writing for Marquessa’s LyricalFictionFriday for several weeks now. Hopefully I’ll figure things out better as I go along. Glad you liked the story.